This month Birchbox is celebrating the fact that a woman who married into a dynasty full of cousin marriages, dodgy relatives and scandals is fertile enough to get pregnant with a ‘spare’ heir to the throne. As you can probably guess I’m a bit cynical about the Royal Family and think the obsessing over them is a bit insane. Anyway, back to the beauty box. 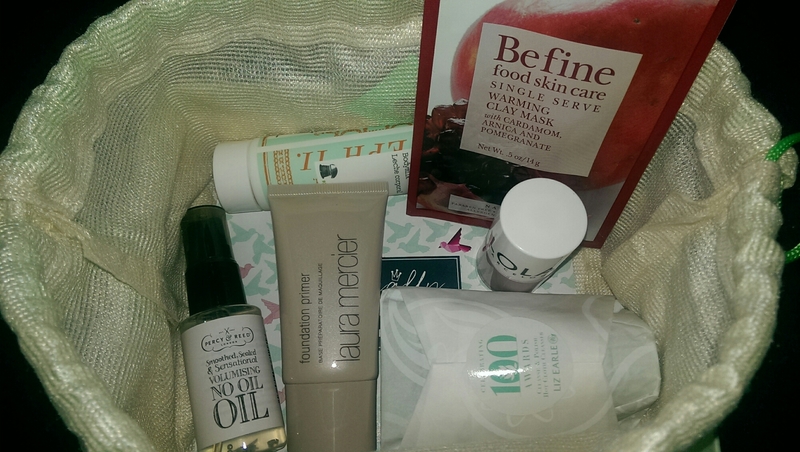 Liz Earle Hot Cloth Cleansing sample – I’ve got a couple of these now – not tried it yet. Percy & Reed No Oil Hair Oil sample – I’ve used this before and it’s OK, but I prefer my Argan Oil. Laura Mercier primer sample size, this month you could choose a Laura Mercier product and as the others were mascara and eyeliner I picked this. Korres Bergamot Pear Bodymilk – sample size. The packaging is quite sweet, couldn’t get the foil seal off for that all important sniff test! And a Befine warming clay face mask instead of the slightly rubbish ‘lifestyle item’ (last month it was a chapter sample of a novel & a teeny tiny note pad). 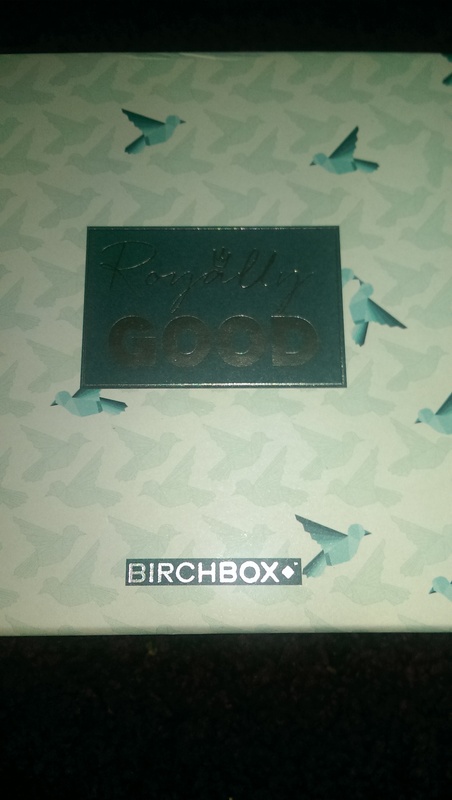 To be honest I was pretty sure it was all over for Birchbox as last month’s was really disappointing, but this one is a lot better. I can see myself using the products and the box is a good size for reuse. This was the standard size box but a letterbox size is also available.